Shambles. Chaos. Dysfunction. Just a few terms in the headlines on the NZ Herald’s website this morning. For some reason, those apocalyptic terms were not used in the past to describe the previous government’s mis-management of the public health system, or its inability to even concede that a crisis existed in housing affordability, or homelessness. And why pray, is the sky now allegedly falling? Because a minor Minister wasn’t up to the job, and has since resigned. Because the details of one aspect of an industrial relations package (the bit to do with multi-employer collective bargaining) may still be tinkered with at Cabinet level – unlikely though that may be, given that the Bill in question has been reported back from select committee virtually unchanged. Even if such tinkering to multi-employer bargaining does eventuate, chances are the nation would survive the upheaval. And that would be largely because the industrial relations package essentially restores the workplace situation that existed in 2008, pre-GFC – conditions during which business experienced one of its longest post-war boom periods. Oh, and months ago, there was also a public disagreement among the coalition partners about a backwater of the Justice portfolio, to do with sentencing policy – namely, the “three strikes” legislation. That’s about the extent of the policy “chaos” created so far by the dastardly NZF leader Winston Peters. Elsewhere in the world, members of ruling coalitions can champion their party positions on relatively minor contentious issues, without this being taken as “a shambles” or “dysfunction” – so long as core government policy is not put under threat by these differences at the margins. The intolerance being shown as this process unfolds in New Zealand betrays our depressing appetite for a tidily totalitarian style of government where everyone is expected to march in lockstep. In particular, this form of “unity” would actually require New Zealand First to function as an auxiliary arm of the Labour Party and as a mere enabler of its policy agenda. Besides being undesirable, this would be electorally suicidal for NZF come the 2020 election, and this would be of advantage only to the National Party. Obviously, one can see why National is interested in attacking the credibility/unity/coherence of the coalition government as political managers. (Under Simon Bridges, they certainly haven’t come up with any positive new policy ideas.) It is less easy to see why the media would choose to be such a readily biddable accomplice. It’s a whole new world we’re moving into, everyone knows that. Digital transformation, the future of work, climate change, social isolation and the long term impacts of poverty. First, we need a concerted effort to lift the prosperity side of the ledger. Working alongside business, we will encourage innovation, productivity and build a skilled workforce better equipped for the 21st century. We are doing that by bringing back significant support for businesses to expand their investment in research and development through the R&D tax incentive, a key component of building a new innovative economy. We don’t believe progress as a country should be measured simply by narrow headline economic numbers. For example, we’ve enjoyed enviable GDP growth in recent years, but what sort of success is that when we have the worst homelessness in the OECD? Exactly. As she noted, government needs to ensure that more and more New Zealanders are not being left behind – and also that as a country, New Zealand is not being left behind either. This was a “slick” performance, apparently. Sigh. In her speech, Ardern put a marked emphasis on the need to lift our levels of investment in r&d, as the first and necessary step towards creating a sustainable level of prosperity for future generations. She’s right. For a couple of decades now, New Zealand has lagged well behind the OECD average r&d spend of around 2.4 per cent of GDP – and the Clark government was no better than a succession of National-led governments in this respect. Even the plans being mooted is hardly going to be a game changer. 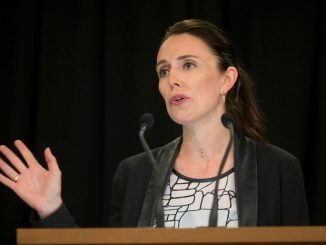 In the coalition agreement with New Zealand First, Labour pledged to boost our total R&D spending (private and public sectors combined) to 2 per cent of GDP over the next ten 10 years, from the current dismal levels of only 1.3 percent. So by 2028, this would still leave us lagging behind the current OECD average of 2.4 per cent. At present, 0.6 per cent of our total R&D is carried out by business, 0.3 per cent by the government and 0.4 percent by higher education. To put that another way : taken together, government’s direct investment in r& d and its indirect role in funding higher education actually exceeds what the private sector is doing to invest in its own future. This belief that the maximising of shareholder wealth is the prime – even the only –purpose of business originated with the economist Milton Friedman, in this wildly influential 1970 article. Down the subsequent years, the doctrine of shareholder supremacy has had a number of dire consequences. It has eroded business ethics by fostering sharp business practices aimed at maximising share value, and also the CEO compensation packages based on them. Wealth that used to be retained and re-invested (a) back into firms, (b) distributed in wages via union-negotiated agreements, and (c) re-invested in communities is now funnelled almost exclusively to shareholders. Since only about one in ten Americans (and a similar ratio of New Zealanders) ever participate in speculation in shares, this channeling of shareholder wealth to an elite of the already advantaged has led to damaging extremes of income inequality – and to levels of social anger that have been politically captured by the far right. The road to Trump was paved by Milton Friedman. Fundamentally, shareholder supremacy is a cause of poor economic performance by starving the business sector of funds that would otherwise be used to invest in equipment or training or simply to pay people more and increase their purchasing power. Right. So… business will ultimately have to be convinced that in its own best interest to relax its Friedmanite fixation on short term profits and shareholder supremacy. Otherwise, as Ardern says, the prospect is that more New Zealanders will be left behind. And New Zealand will be less able to devise the innovations it needs to remain globally competitive. Along the way, it is going to be hard to be optimistic about the ability of business to alter course. One needs to look only at how our corporate leaders gamed their confidence levels this year for political ends. Despite objectively rosy economic conditions, “ a crisis in business confidence” became a political stunt intended to undermine the current government. No surprise of course, that business should act in such a pointedly partisan fashion. Too bad though that this is not in anyone’s best interest – including their own – longer term.